The 10th edition of Automechanika Kuala Lumpur, Malaysiaâ€™s leading regional trade fair for the automotive industry targeting trade visitors from ASEAN, is fast approaching. The exhibition takes place 23 â€“ 25 March 2017 at the Kuala Lumpur Convention Centre, Kuala Lumpur, Malaysia. It is expected to welcome 300 worldwide exhibitors and 8,000 global buyers to the 9,710 sqm exhibition space spanning five halls. The EMMA competition will be held on 25 March as part of Automechanika Kuala Lumpur through a cooperation with show supporter, AAA (Auto Audio, Accessories and Air-Condition Trader Association of Malaysia). AAA, which has a network of 900 members companies, including Sony and Alpine, has chosen the exhibition as the location for the competition due to its leading position in Malaysiaâ€™s automotive industry. The competition attracts participants from ASEAN countries including Indonesia, Thailand and Singapore to demonstrate more than 70 vehicles. Several tuning shops, car retailers and tuning-purist vehicle owners will be joining the competition. To cater to every member of the audience, the competition will have three categories, featuring all aspects of vehicle sound quality, including â€˜Open doorâ€™, â€˜Closed doorâ€™ and â€˜Auto modificationâ€™. For â€˜Open doorâ€™, audio installations should be able to produce high-sound pressure levels with an emphasis on quality while the vehicle doors are open. The â€˜Closed doorâ€™ category will be performed while the vehicle doors are closed and the noise will be minimal. For this category, competitors will build an audio or multimedia system focusing on overcoming vehicle acoustic problems, reproducing music with minimal noise, distortion and making it sound as close to the original as possible. The â€˜Auto modificationâ€™ category will combine both the Open and Closed door competitions as an entire project. Tuning, styling and the overall appearance of the vehicle will be judged. 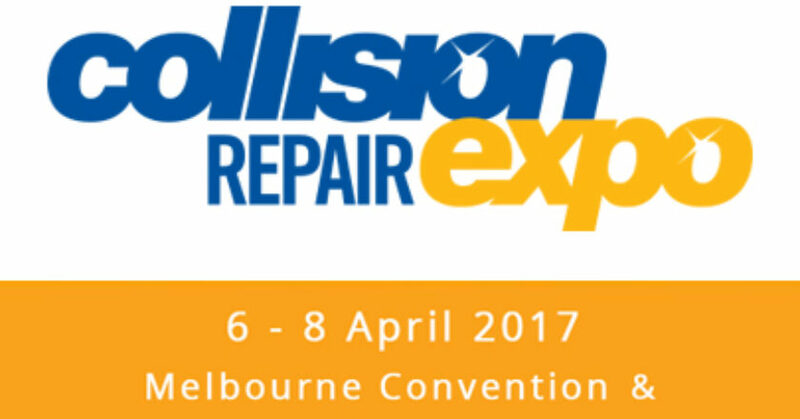 Australian and international brands will showcase the latest products and worldâ€™s-best-practice technologies at the Collision Repair Expo to be held at the Melbourne Convention and Exhibition Centre from 6 to 8 April, 2017. Exhibitors are now completing arrangements for the regionâ€™s largest display of body finishing materials, crash repair equipment and tools. This will be complemented by a range of educational seminars and networking opportunities where visitors can exchange ideas and information with organisations representing all aspects of the body repair industry supply chain. Organised by the Australian Automotive Aftermarket Association (AAAA), the Collision Repair Expo also attracts the involvement of the sectorâ€™s leading industry bodies. AAAA Executive Director Stuart Charity says the Expo, which is held every two years, has become the major meeting place for key industry players in the Asia Pacific region. â€œThe top industry brands will be at the Expo. All sectors will feature, such as global paint companies, consumable and business systems suppliers, and tool and equipment manufacturers. The Lowbake demonstration spray booth will be expanded for 2017 and there will be product presentations on most stands, so visitors can learn how technology has moved forward,â€ said Charity. The list of supporting industry associations grows with each Expo. This year arrangements are in place for a wide range of organisations to contribute their knowledge and expertise to the program. Amongst those professional bodies participating are the Collision Repair Association of New Zealand, the Institute of Automotive Mechanical Engineers, I-CAR, Motor Traders Association of Queensland, Motor Traders Association of Western Australia, Victorian Automobile Chamber of Commerce and the Society of Automotive Engineers â€“ Australasia. The growing importance of the Collision Repair Expo as a hub for information exchange is highlighted by the large number of organisations already committed to run co-located conferences and events. The list so far includes the Collision Repair Association of New Zealand, Capricorn, I-CAR, and Suncorp. â€œThe engagement of such leading industry organisations makes the Collision Repair Expo the must attend industry event in 2017. It will offer visitors extraordinary exposure to state of the art products, technologies, learning and networking opportunities,â€ said Charity. A highlight of the 2017 Expo will be the free educational Seminar Program offered on 7 and 8 April. One of the topics covered will be What’s Trending and New Technology Insights. Presented by Bangkok-based CAR-O-LINER Managing Director Per Madsen, this session is designed to help visitors decide which vehicles to focus on and whether or not a workshop re-fit is needed. With a brief review of the past and an overview of the key influencers for the future, attendees will be able to better decide how they want their business to operate. The key is to identify which choices will enable the most profitable structure within each business model. 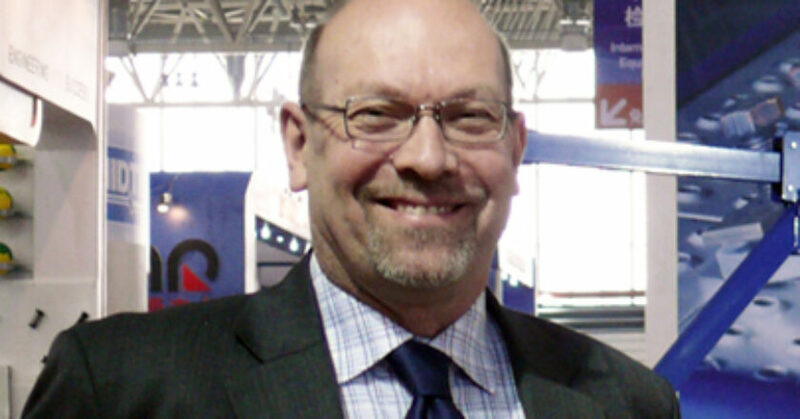 Madsen will cover issues from processes and electronic measuring to the impact of OEM Certification Programs, plus the important impact of the endless introduction of exotic materials and the challenges and opportunities they present. Drawing on his vast experience from extensive travel across Asia and Oceania, Madsen will share the secrets he has learned by working with innovative repairers across the region. He will also discuss training on OEM certification programs, development audits and service provider issues. Entry to the Expo Seminar Program is free and bookings are essential. Visit www.collisionrepair.com.au/visiting/seminar to select and book the sessions desired. The 10th edition of Automechanika Kuala Lumpur has evolved from modest beginnings. Keeping pace with the growing specific needs in the ASEAN regions, the upcoming show will reshape its direction and move towards a brand new edition that will not only highlight the supply chain within the Repair & Maintenance sector, but also showcase the latest trends in smart technology. The Repair & Maintenance sector will be taking the front seat at the show, comprised of a range of items, including collision repair, coating, car wash, tools and equipment, etc. The comprehensive coverage is designed to attract body shops, express auto service centres, workshops, mechanics and technicians from ASEAN countries to participate in the show. To enrich participantsâ€™ experience, the show not only showcases a range of Repair & Maintenance products and services, but also provides a series of collision repair training workshops with theories and practical applications such as spray booth and welding. Participants will learn the most updated information about the latest trends in Repair & Maintenance, network and acquire business opportunities while attending the show. Connected mobility is one of the latest buzzwords in the automotive industry. Vehicles with smart technology are able to communicate with each other and the surrounding transportation infrastructure to enhance safety, convenience and efficient flow of traffic. With growing disposable incomes, Malaysians are more eager to try out the latest technology. As a result, more market opportunities will continue to evolve in this field. According to a 2015 Malaysian import figure from MATRADE1, electrical and electronic products contribute to the largest sector (30 per cent) of the overall total imports in Malaysia. GPS and audio systems are among these electronic items imported from other countries. This is why the coming edition of Automechanika Kuala Lumpur must stay at the forefront of the ASEAN automotive industry to capitalise on this potential while leading the markets to further expansion. Automechanika Kuala Lumpur will further cooperate with one of the supporters, AAA (Auto Audio, Accessories and Air-Condition Trader Association of Malaysia) in this edition to bring an international-standard audio competition to the show. AAA has a network of 900 members throughout Malaysia covering electronic manufacturers, tuning shops, retailers and service suppliers. Sony and Alpine are among those active members. The EMMA (European Mobile Media Association) Car Audio Competition, will be promoting smart technology within the automotive audio realm. Automechanika Kuala Lumpur will be held 23 â€“ 25 March 2017 at the Kuala Lumpur Convention Centre, Kuala Lumpur, Malaysia. The show is expected to welcome 300 worldwide exhibitors and 8,000 global buyers to the 9,710 sqm exhibition space spanning five halls. Automotive modification professionals will certainly be familiar with the SEMA Show which takes place in Las Vegas USA. The annual SPECIALITY EQUIPMENT MARKET ASSOCIATION (SEMA) Show is the most anticipated event in the aftermarket industry in the United States (US), and is at the centre of the worldâ€™s components and modification sector. Indonesia with its progressive automotive growth, has also shown great potential in its auto aftermarket and tuning industry. Similar to the SEMA Show in the United States, Autopro Indonesia also aims to become one of the most awaited auto aftermarket and tuning event in South East Asia. Tarsus Plc and Nine Events have joint their forces to organize the upcoming Autopro Indonesia on 23-25 February 2017 in Hall A-B, Jakarta Convention Centre (JCC), Indonesia. The 3-day trade exhibition in the auto aftermarket, modification and tuning sector will bring together all the major players of this industry, to collaborate and provide insight about the most up to date and innovative technologies and products. 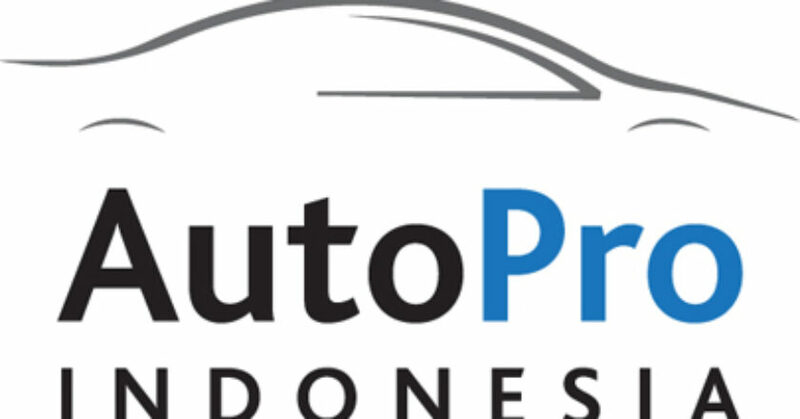 Autopro Indonesia will be supported by more than 100 brands from Indonesia, UK, Hungary, Australia, China, and Taiwan who will showcase their most innovative products/services. “In addition, Autopro also has a list of 6,000+ potential buyers from Indonesia and around the world. Autopro is expected to help grow the Indonesian auto aftermarket industry and modification sector to a higher level, if the American market has SEMA, then the ASEAN and Australian market will have Autopro Indonesia” said Lia Indriasari (President Director of Nine Events, organizer of Autopro Indonesia). Various brands from the world’s leading auto aftermarket sectors, ranging from tires, films, audio system, lights, upholstery, anti-rust, lubricants and more, have confirmed their participation at Autopro Indonesia 2017. Leading brands such as 3M, GT Radial, Pioneer, V-Kool, Venom, Cronos Leatherette, Achilles, Accelera, Llumar, Toyo Tyres, Autovision, Protera, Evalube, STP, Turtle Wax, Wincos, Proxima, Alcantara, Hunter, Corghi, Ziebart and many more, will present their latest technologies and most innovative technologies. “By supporting and participating in this event, we believe we will meet with the right buyer not only within Indonesia, but also from Southeast Asia and Australia. We believe Autopro will thrive in the future,” said Ronny Alexander of Venom. Autopro Indonesia 2017 will collaborate with the National Modificator & Aftermarket Association (NMAA), to help raise awareness of the Indonesian aftermarket/modification industry, so that it will be recognized by the International market. Currently the Indonesian auto aftermarket industry is growing, and both aftermarket and modification sectors will continue to rapidly raise its profile and AutoPro will provide the perfect platform. “The Indonesian auto aftermarket and modification sectors have tremendous potential through Autopro. All the pillars will be working together on this event, from the sole agents, modifiers and aftermarket brands who will stand hand in hand and deliver something new for Indonesia’s automotive industry,” said Andre Mulyadi, Founder of NMAA Indonesia. Autopro Indonesia is the Right Event to Boost Your Business! Autopro is the correct platform for expanding business networks in the international aftermarket sector. By targeting ASEAN and Australian markets, this event will help drive the industry professionalâ€™s business growth. In this event, the media will also get the chance to meet directly with key players in the aftermarket parts industry and national and international modification specialists. For more information on Autopro Indonesia, please visit www.autoproexpo.com. The SEMA News team talked with exhibitors, builders and attendees about the 2016 SEMA Show experience. Automechanika Shanghai 2016 has an extensive list of top-notch industry events over the four-day show. It has become the annual go-to event for information exchange, marketing, trading and education within the international and Chinese markets for automotive professionals. Unique fringe programme events also add value to the four main industry sectors: Parts & Components, Electronics & Systems, Repair & Maintenance and Accessories & Customising. The last 11 editions of Automechanika Shanghai have earned the show a reputation for being a renowned and highly professional trade fair with high-quality products, globally-recognised brands and an ever-increasingly diverse fringe programme. The events held during the show are meticulously chosen as modern and time-efficient automotive industry issues. Recognising the automotive needs of today, finding solutions plaguing the modern vehicle and presenting the developing trends in the industry are the objectives of the fringe programme events being held. This yearâ€™s fringe programme is brimming with timely and applicable events and new this year is an award ceremony for Chinese auto parts and components suppliers. In collaboration with the Auto Business Review and Betone Business Consulting Company, Automechanika Shanghai will present the â€œLing Xuan Award â€“ China Automotive Parts & Components Annual Contribution Awardâ€. This award promotes and encourages innovative R&D results by Chinese auto parts and components suppliers. Highlighting these outstanding suppliers, the award aims to boost communication, networking and cooperation between manufacturers and local auto parts and components suppliers. It also enhances suppliersâ€™ attention on R&D, connecting them with automotive manufacturers, thus expanding business internationally. 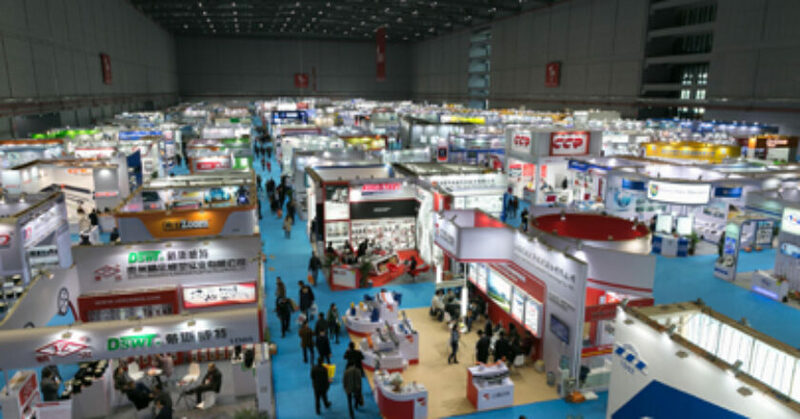 Organisers of Automechanika Shanghai are constantly striving to boost the show and offer new events regarding the latest technologies and programmes within industry sectors. As a result, the show has become one of the best platforms for developing business and building brands within the automotive network. 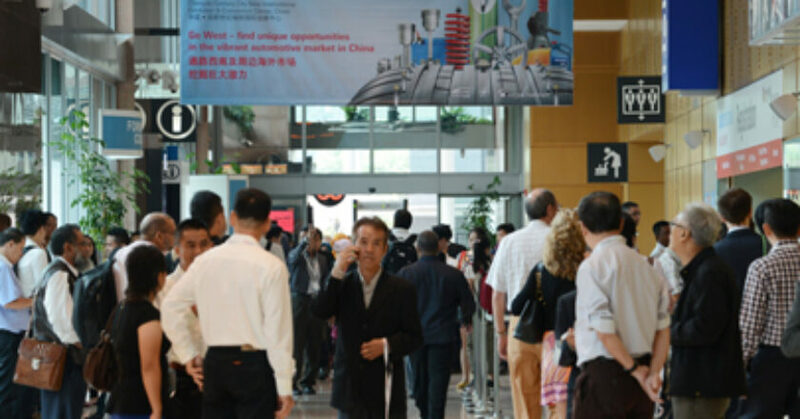 Additionally, Automechanika Shanghai is also a prime location for information and technology exchange, becoming educated or instructing others about the latest developments in the industry and providing an optimal environment for marketing brands and new products through the extensive list of fringe programme events. Collaborating with many industry associations, leading enterprises and professional media, the extensive network of the organisers will allow for several topics to be discussed during the four-day show, including new changes and compositions of the industry developments. In addition, policy and industry market influences on supply chain management, channel transformation, industry differentiation and integration will be examined. These events provide the opportunities to deepen exchange of information and promote the overall transformation and upgrading within the industry. Events include the AIAG Auto Parts Purchasing Leadership and Suppliers Summit, which is co-organised with the Automotive Industry Action Group, where several leading suppliers will be invited to the event, including purchasing department representatives and management from Borg Warner, Bosch, Delphi, Federal Mogul, Fiat-Chrysler, Ford, GM, Jaguar Land Rover, Johnson Controls, Lear, Magna, Mercedes-Benz, Volvo and other OEMs and Tier 1s to speak about the sourcing strategy, needs and quality requirements as well as the supply chain development trends for suppliers in Asia. Also, the Automotive Aftermarket Summit 2016, which is co-organised with the Automotive Aftermarket Suppliers Association (AASA), will discuss how parts distributors restructure their product mix and standardise their services to meet repair shopsâ€™ development needs in terms of business expansion; overseas case studies; an analysis on the US and China aftermarket situation; as well as a panel discussion on the future trends in the global automotive aftermarket. In addition, the International Automotive Congress 2016, co-organised with the Vogel Automotive Media Group and the Institut fÃ¼r Kraftfahrzeuge (ika) RWTH Aachen University, will discuss E-mobility, Powertrain, Intelligent Vehicle, Electric Drive System, EPS Boost ADAS, etc. E-mobility and Connected mobility are the key trends of the industry and the Electronics & Systems sector covers a broad reach, encompassing all elements of this hot market topic. This year, connectivity, alternative drives, automated driving and mobility services will be amplified during the show. The Connectivity zone will be featured in Hall 4.1. The Connected Mobility Roadshow Shanghai is a unique event and is part of the Connected Mobility Roadshow three-city tour starting at Automechanika Frankfurt in Germany in September. The event will be held in Shanghai on 1 December and highlight three main themes: Connected Cars, Connected Data and Connected Customers. Renowned speaker Aloke Palsikar, Senior Vice President & Global Head of Manufacturing Vertical Head Tech Mahindra will present â€œConnected Car Data Monetisation â€“ the Next Frontierâ€ and Nicklas Raask, Senior Director Asia Pacific IT of Volvo Car Group will examine the topic of â€œCustomer in the Driverâ€™s Seat on the Digital Journeyâ€. Other topics of discussion include digital disruption in the automobile industry, developments in the field of connected cars and the consequences of these trends on society. The third city to host the Roadshow will be Austin, Texas in the US in the coming year. The SAE 2016 Vehicle Electrification and Connected Vehicle Technology Forum will be held at Crowne Plaza Shanghai. During the forum, engineers engaged in design, development and research of advanced automotive powertrains, vehicle electrification and vehicle connectivity will provide attendees the opportunity to learn about technological advances, challenges and solutions encountered within the mobility industry. Presentations will discuss the controls of electrified drivetrains, the integration of connectivity, autonomy and the impacts of the various systems. This forum will be presented by experts from OEMs, integrators, 1st and 2nd tier suppliers and academia. The Repair & Maintenance sector will have a comprehensive educational platform with presentations and training activities, which are primarily targeted toward repair shop managers and technicians. The repair and maintenance terminal chains will be at the show to interact with procurement and supply chains to continue information exchange, business development and expansion. The Time of After Tax-for-Free Reform DRP (Direct Repair Program) Industry Summit, co-organised by China Automotive Maintenance and the Repair Trade Association, will focus on the new market opportunity after tax-for-free reform in DRP. The summit will offer after-sales maintenance service providers with policies and procedures of DRP implementation by insurance companies. In addition, speakers will share insights on international car insurance and maintenance, explore upcoming repair techniques, as well as business development directions. Falling within the Accessories & Customising sector, the fringe programme will include product presentations and seminars related to the changes and interpretations of the industrial policy of automobile customisation in China. Many brand exhibitors, including Amsoil, Bilstein, Liqui Moly and Valvoline, will present new techniques, technologies and applications of their latest lubrication products. These brands will focus on high performance automobile engines to increase the power of sports car and motor racing engines. In addition, professional visitors will also enjoy participating in interactive activities enhancing their experience. The AUTOHAUS CHINA 6th International Dealer Summit 2016 will examine topics including Dealersâ€™ After-sales Service Transformation under New Market Environment, and Used cars. Leading automotive body finishing materials, crash repair equipment, diagnostic and software brands from Australia and across the world have booked exhibition space at the 2017 Australian Collision Repair Expo to be held from 6 to 8 April, 2017 at the Melbourne Convention and Exhibition Centre. Manufacturers, distributors and retailers of everything required in an automotive panel repair workshop will be on display at the Expo hosted by the Australian Automotive Aftermarket Association (AAAA). The theme for the 2017 Expo is Give your business a crash course â€“ a timely topic in this period of change and challenge in the automotive industry. AAAA Executive Director Stuart Charity said technology will be an important focus of this Expo. â€œWith todayâ€™s vehicles virtual computers on wheels, workshops depend increasingly on high technology tools and equipment to repair and enhance these sophisticated vehicles,â€ he said. â€œAt the 2017 Expo, we will highlight those rapidly developing technologies with 50-plus exhibitorsâ€™ product displays, an educational seminar program run over two days to allow visitors to pick the sessions that best meet their needs, and a range of networking opportunities. In addition to all the best paint and body finishing brands, the list of exhibitors for 2017 includes companies that work at the leading edge of crash repair consumables, equipment and tools. The leading edge products and services offered by these exhibitors are necessary to keep workshops in business in the future. â€œVisiting the Expo provides workshop owners, managers and technicians the opportunity to view a wide range of solutions in one location. You can talk to the suppliers and compare their products and services right there and then. Your Expo visit will save time, help you research your needs in a convenient environment, and enable you to make decisions about which brands will work best for your business. A visit to the Collision Repair Expo website provides the A to Z list of industry suppliers that will be exhibiting at the 2017 Expo,â€ said Stuart Charity. As technology becomes a greater influence on collision repairersâ€™ business models, Expo organisers have increased the focus on providing educational opportunities. Seminars at the Expo are free and will be held on Friday 7 April and Saturday 8 April. Pre-registration is required to help plan seating requirements. Expo Seminar Coordinator Colin Bockman said the industry has asked for top international and local presenters to share their insight. â€œThat is what we are working to deliver,â€ he said. â€œThe seminars will deliver awareness on the latest trends in line with how the Australian and New Zealand collision repair industries are being affected by technology advancements, commercial factors and other issues. For example, one seminar topic description reads: â€˜if you need to know the real truth about consolidation, technology, the skills shortage and the risk of reduced claims, then this is the Seminar to attendâ€™. â€œThe person who will deliver this seminar said he expects this session to be a myth buster regarding what are perceived to be the collision repair business ownersâ€™ worst fears. Information presented in the 2017 seminar sessions will help collision repair businesses plan their future with greater certainty. You will hear from Industry leaders who are in touch with the real world challenges. â€œExpo visitors will walk out of these seminars feeling like they had to be there because the information went beyond commentary and delivered insights of real value to them. That is our litmus test,â€ said Colin Bockman. The theme for the 2017 Collision Repair Expo is â€œGive your business a crash courseâ€ â€“ a timely topic in this period of change and challenge in the automotive industry. With less than three weeks until the opening of the 2016 SEMA Show, attendees are encouraged to use the SEMA Show floorplan to get acquainted with this yearâ€™s layout and to research new exhibitors. The homepage features the Show Locations Map, highlighting the Showâ€™s sections and the outside layout of the Las Vegas Convention Center (LVCC). Clicking on any of the halls will bring up a large map of the layout, showing the companies and booth numbers within the hall. The drop-down menu in the upper right-hand corner provides convenient links to areas throughout the Show, including the LVCCâ€™s hall layouts, the Performance Pavilion and all three Silver Lots. Buyers can use the search tool to locate companies by product keywords. As an example, a search for the term â€œexhaustâ€ will produce a list of companies offering exhaust-related products, a button graphic with the number of those exhibitors per hall, and their locations on the floorplan. To navigate deeper, buyers can click on any of the buttons to bring up a larger version of the map, and the specific location and booth number for each company. 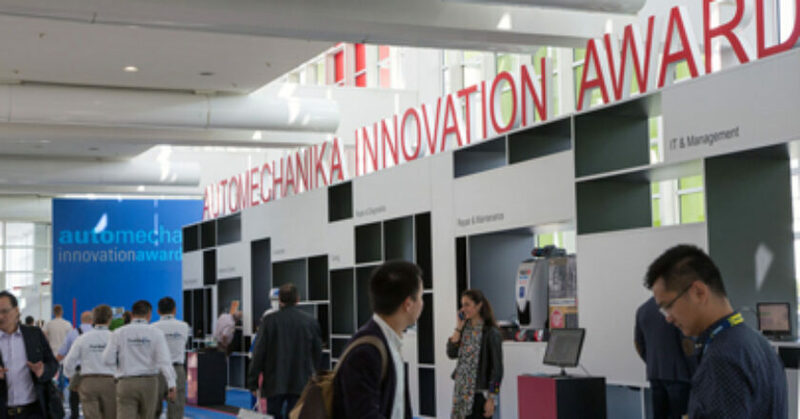 The winners of the Automechanika Innovation Awards 2016 have been announced. On 23 August 2016, the independent jury of nine experts reached agreement on eight award winners whose innovative solutions and future-oriented products will be presented for the first time in an interactive special show in the â€˜Festhalleâ€™ during the coming Automechanika Frankfurt. The award winners were selected from a total of 130 entries, 58 of them from Germany and 72 from other countries. This represents an increase of approx. 30 per cent in the number of international entries compared to the previous fair. The Automechanika exhibitors were invited to enter their innovations in the following eight categories: Parts & Components, Electronics & Systems, Accessories & Customizing, Repair & Diagnostics, Repair & Maintenance, Management & Digital Solutions, Car Wash, Care & Reconditioning and OE Products & Services. The jury also decided to give a â€˜Green Awardâ€™ for the first time as part of this yearâ€™s Innovation Awards. This special award goes to the most sustainable innovation of all entries and this yearâ€™s winner is Continental Reifen Deutschland GmbH for the WinterContact TS 850 P tyre made of â€˜Taraxagumâ€™ dandelion rubber, the winner of the Automechanika Innovation Award in the Accessories & Customizing category. The awards will be presented during the Automechanika Frankfurt opening ceremony in â€˜Saal Panoramaâ€™ of the Forum at 10.00 hrs on 13 September 2016. All winners with the names of the products entered and a brief description can be found below. Ultra-light motorcycle battery with lithium-ion technology: four times longer life span and significantly greater cycle resistance than comparable lead-acid batteries. Reliable performance even at high temperatures. Contains no acid. Leak proof and can be installed in any position. Completely maintenance free. PORTECTOR is a professionally installed, tamper-proof device that prevents vehicle theft without a key. PORTECTOR prevents all nonauthorised communication with the vehicleâ€™s systems using the on board diagnostic (OBD) port. PORTECTOR is connected to a model-specific port protector to make hard-wiring impossible. Together with several partners, Continental has developed an alternative to the traditional cultivation of natural rubber: Taraxagumâ„¢ dandelion rubber from the root of the Russian dandelion. In the case of the WinterContact TS 850 P tyre, the tread is made completely of Taraxagum dandelion rubber. NCEMÂ® is the worldâ€™s most compact and lightest multi-gas meter. It supports engine / vehicle testing facilities and the emission test under realistic conditions. UNIFORMITY is the first tyre fitting machine with a diagnosis function. With press roll and laser sensors, it detects rim and tyre defects and supports the operator during the radial-rim-tyre fitting and thus eliminates general vibration problems arising from geometric defects of material irregularities. Solve problems before they arise â€“ supported by completely new service interfaces. Developments in the field of device networking mean that service can be redefined. The analysis of device information guarantees product orientation fully in line with customer requirements. The MultiFlex Side Washing System pivots backwards when washing the rear of the vehicle. It adapts flexibly to the contours of the vehicle and washes them with maximum contact, including under the rear spoiler, in bumper depressions and around the C pillars. The Valeo SCALAâ„¢ is the first laser scanner for automobile mass production. The technology is a key factor for automated driving and operates by scanning the environment in front of the vehicle and detecting with extreme precision any obstacles in its path. The hottest trends in Virtual Reality (VR) video and Augmented Reality (AR) video will take center stage at the 2016 SEMA Show, where Showgoers can view a series of automotive-themed experiential demonstrations and learn how the technology can be applied to all areas of automotive aftermarket product sales, marketing and development. Featuring live VR broadcasting, 360-degree video, and fully immersive VR and AR experiences, the SEMA VR Experience will be located in SEMA Central, one of the top locations of the SEMA Show found in the Grand Lobby of the Las Vegas Convention Center. â€¢ Live 360-degree Video Broadcast Demonstration: With special cameras placed around the SEMA Show, see how 360-degree video can enhance live social media event broadcasts. â€¢ SEMA Garage 360-degree Video Tour: Join Overhaulinâ€™s â€œAJâ€ as she virtually transports you to a complete tour of the 15,000-square-foot SEMA Garage facility. â€¢ BFGoodrich Are You Driver Enough VR Experience: Immerse yourself in a tire-test driving experience with virtual instructors by your side. â€¢ BFGoodrich Baja 1000 VR Experience: Sit in the cockpit of an 850 Horsepower Trophy Truck with Baja 1000 champion Rob MacCachren. â€¢ Optima Batteries Power of Legends VR Experience: Sit in the middle of the action with a series of Optima Batteries ProPower Ambassadors from the worlds of professional road racing, off-road racing, water skiing and bass fishing! â€¢ Augmented Reality Parts Catalog Demonstration: Using sophisticated viewing technology, see how a parts catalog can come to life, with floating 3D holograms of parts literally floating off the catalog pages. â€¢ Augmented Reality Car Customization Demonstration: Using new AR technology, see a full-size sports car come to life before your eyes, and have the opportunity to select body color, racing stripes, wheels/tires and other modifications in virtual reality.